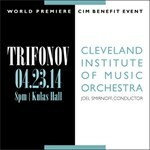 A benefit for CIM featuring the Cleveland Institute of Music Orchestra performing the world premiere of pianist Daniil Trifonov's first concerto with the artist/composer, conducted by CIM President Joel Smirnoff. Beethoven: Trio for Piano and Strings no 7 in B flat major, Op. 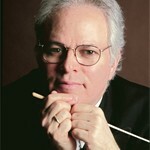 97 "Archduke"
Beethoven: Symphony no 6 in F major, Op. 68 "Pastoral"
Become a fan of Joel Smirnoff to hear about new music, videos, event info & special offers.